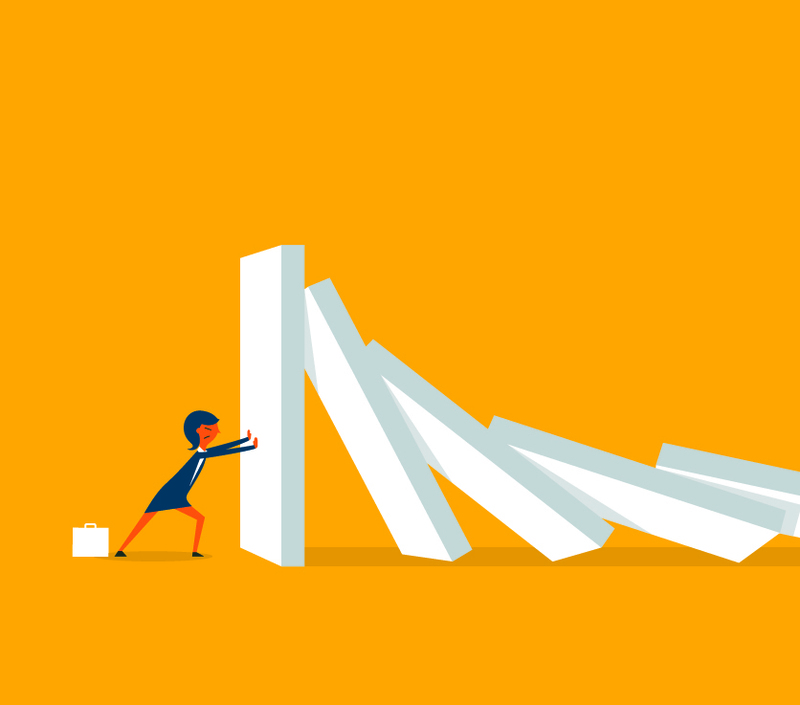 Crisis, hurdle, issue, problem… Each day, companies face a variety of situations that may result in instability or potential disruption of their routine business. If these issues are not managed in a professional way, they could result in a reputational crisis—and its associated, often severe, losses. But these crises, many of which can be ongoing thanks to the emergence of social media, offer an opportunity to learn from the mistakes of everyone who plays a part in this game. To this end, top-notch communication agencies facilitate crisis prevention through specialized tools and processes. The number of companies that work to keep their crisis manuals up to date is constantly increasing. These same companies often hold occasional strategic meetings and ensure their spokespeople are trained. If you are reading this and think you already take all the necessary precautions, you will surely think you are prepared to face a communication crisis. However, we must tell you the truth: the more confident you feel, the higher your chance to lose control when facing an unstable situation, whether it be internal or external. Below, we share some of the common misconceptions regarding the prevention, notification, evaluation and management of a crisis, each which serve to blur the role communications should play in unfavorable scenarios. While the designated committee may be well prepared, each crisis is different. There is no handbook that tells us exactly how to act in every scenario. A crisis manual will contain key information to deal with a variety of situations, and it will always serve as a valuable guide to begin containing a new crisis, but the specific measures that must be implemented will depend on how the issues evolve and its contributing factors: notoriety of the facts, geographic reach, activity on social media, etc. We recommend keeping your crisis manual in an eye-catching, distinctively-colored folder (red, orange, yellow) to make it easy to quickly identify when needed. Now, it is necessary to go beyond the traditional print crisis manual and to think about implementing digital solutions, which shorten the time needed to identify, evaluate and manage an incident. A good spokesperson should have received a series of trainings to boost their communication skills and teach them how to act in front of media (media training). This training provides knowledge on how the media works, teaches appropriate interview techniques and prepares the spokesperson to overcome tense moments and difficult questions. However, a spokesperson is only human, and under the pressure of a crisis, they may make mistakes in front of the camera or communicate poorly on social media. As such, it is advisable to have a specialized team that can calmly manage each scenario, put together appropriate messages for each channel and offer ongoing support to the designated crisis committee. It is also advisable for spokespeople to receive trainings if they have not worked with media frequently to ensure their fluidity when reading statements and provide techniques to best deal with journalists. People often think that an unfavorable story “cannot happen” simply by making a phone call to the right person; perhaps a media director or manager. Despite having this contact, even if they are an “old friend,” if something is of public interest, it should—and eventually will—be published. Communicators have an obligation to publish these incidents, and in these situations, no personal connection can prevent the news from getting out. A communications consultant would be making a serious mistake by trying to avoid it being published. Corporate silence allows for rumors, fake news and misinformation to take over. Keeping quiet does not avoid or minimize an issue; instead, it creates the risk of it turning into something even more negative. Silence can create distrust or unbalance the environment. Therefore, in a scenario in which public opinion is already biased and there are multiple versions of the events being shared, it is advisable for the company to intervene and present the truth of the situation. Ideally, these messages would have been managed in advance. This is a monumental mistake. In the past, crisis management was about the flow of information filtered, collected, interpreted and broadcast by professional media channels. Now, with the internet and social media, any citizen armed with a smartphone can start a crisis, with an incalculable probability of it going viral. Companies must actively listen to and monitor social channels constantly and maintain a proactive and professional attitude if a specific topic goes viral. Public opinion plays a decisive role in a crisis, as does the reputation of the company, institution and/or public figure involved. Many crises have been exacerbated due to a bad crisis response rather than anything to do with the originating incident. Advertising is a useful type of communication for implementing a concrete strategy with a clear, measurable objective, whereas communications helps build an image, reputation and position through content and media activities. Communications shares the company’s values and talks to its consumers to generate credibility and trust. When facing a crisis, it is necessary to communicate the issue to the public and offer sustainable solutions, even if there is an advertising campaign in progress. The advertising messaging, both print and audiovisual, must always be kept in mind, as they have been purchased and will be broadcast for a set period of time regardless of public feedback, which is one of the fundamental differences between it and communications. Nowadays, it is practically impossible for a crisis to be forgotten. What has been published remains in media archives, to be consulted time and time again. Digital search engines allow any user to bring up a story we thought dead and buried. Depending on the magnitude, coverage an issue has had, people involved and digital fingerprint, it is quite possible that in the near or distant future, somebody will find a connection between this crisis and one on the horizon. And the person who finds that clever association might love to share things on social media. Just as no two crises are the same, there is also no way to predict how long a crisis will last or in which channels it will develop. In short, not everything can be under control and companies are increasingly vulnerable, so the best recommendation is to always be prepared and keep an up-to-date crisis manual to help deal with crisis scenarios effectively. It is also important to remember we are all human, and even a highly-trained person may act differently when faced with high-pressure situations. Therefore, it is crucial to have an external, professional team who can offer a calm outside perspective, evaluating risky scenarios and the best actions to take. All this contributes to quickly managing a crisis in the most effective and strategic way possible. Alejandra Rivas is General Manager at LLORENTE & CUENCA Ecuador. With 30 years professional experience, she specializes in mediation and negotiation, crisis management, corporative and governmental issues and institutional and stakeholder relations. She built her career in sectors where reputation management, legislative risks and public affairs management were essential, including the petroleum, tobacco, mining and telecommunications industries. Before joining LLORENTE & CUENCA, she was a Communication and Spokesperson senior manager for Canadian company EnCana, a senior manager at Petrobras and vice president of Corporative Affairs at RIVAS Young & Rubicam. This has given her a vast range of experience in management and client relations. Antonella Nicosiano is a Senior Consultant at LLORENTE & CUENCA Ecuador. She holds a degree in journalism from Universidad Carlos III in Madrid and a master’s in Corporate and Institutional Digital Communications from Universidad de Alcala de Henares. Her professional career started in Madrid with Consuelo Torres Comunicacion, and in 2014, she joined LLORENTE & CUENCA in Buenos Aires as a senior consultant in Corporate Communications, specializing in Brand PR. She has also worked for Nespresso, Cencosud, BGH, Embratur, the 50 Best Restaurants and Kellogg’s, among other leading companies. She currently works out of Quito in the areas of Corporate Communications, Public Affairs and Crisis Management.